Hacker collective Anonymous has taken down websites belonging to the Department of Justice, RIAA, MPAA and Universal music in response to the recent shutdown of Megaupload. Shortly after popular file-sharing site, Megaupload, was shut down in a federal bust, Anonymous gathered its forces for what is presumed to be a hastily-assembled DDoS attack on the Department of Justice website. Doj.gov is, at the time of this writing, down and out. RIAA.com, MPAA.org, copright.gov and the Universal Music Group's website have since been taken down as well. Universal was recently involved in some legal shenanigans with Megaupload over a video used to promote the site - a likely reason for its inclusion in the list of targets. An Anonymous-associated Twitter account is claiming credit for the takedown. "One thing is certain: EXPECT US!," wrote another account claiming to speak for the group, shortly before the takedown occurred. According to Russian news service, RT, this is the largest coordinated attack in Anonymous', admittedly quite vague, history. Anonymous, according to those that claim to represent it, has been a vocal opponent of the SOPA bill. That, combined with the recent, and in its opinion, unjustified, take down of Megaupload, has spurred the group into action. "Get some popcorn," tweeted an anonymous news source. "It's going to be a long lulzy night." Update: Some media outlets are reporting that media label, BMI, has been taken down. 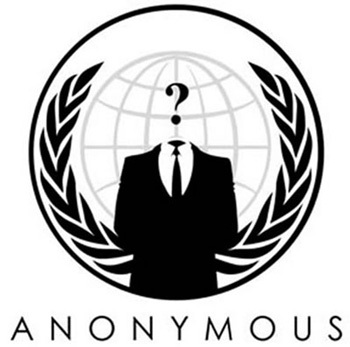 Update 2: Anonymous claims to have taken down the Utah Chiefs of Police Association website.